Kentucky Cotillion, 1975 - Digital Collage 4" x 6"
Little Lee Kelley, the shining star in Lexington's social firmament, insisted that if she must go through with a coming out party, then the evening must embrace all things Kentucky. When her parents balked at her idea of holding the cotillion at the stock car track, Lee pitched a fit and stormed off to her room. A little while later there was a knock on her door. She opened it and found her father standing there. He offered her a compromise: If she agreed to have the event at the hotel, then he would put a call into a well-placed friend and arrange to have Evel Knieval make an appearance at some point during the evening. The girl had fallen under the spell of the motorcycle daredevil while watching ABC's Wide World of Sports that year and the idea of him gracing her début with his presence was a dream come true.She threw her arms around her father and with tears of joy thanked him. The gala was a virtual Who's Who of Kentucky. All the finest families were in attendance and Lee and her friends comported themselves like perfect ladies. It was during a pause between songs that the room was silenced by the roar of an engine. 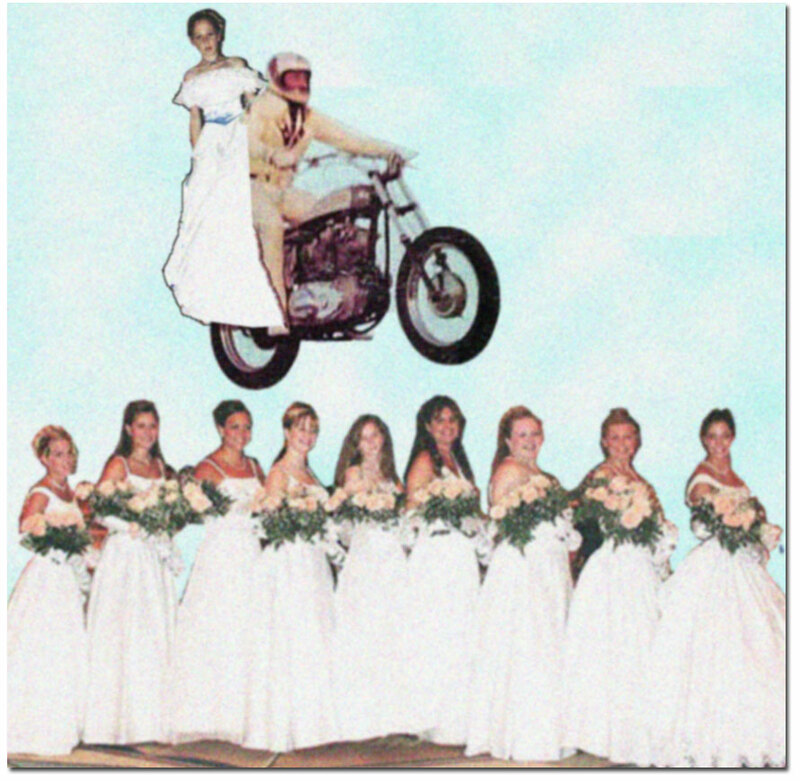 All heads turned to the ballroom's entrance and there astride a motorcycle was Evel Knieval clad in his trademark white jumpsuit. He tore into the room and cleared the dance floor executing a series of perfect one hundred and eighty degree turns with just his back wheel. "He's doing doughnuts on the dance floor Daddy!" shouted Lee with glee. The room fell silent and Knieval let the motorcycle quiet down to an idle. Pulling off his helmet, he called out to Lee's friends and said, "You girls line up right here." Lee friends giggled and organized themselves on the dance floor. The daredevil took a turn around them on his motorcycle sizing up the distance they spanned. Then, he popped a wheelie and shot across the floor, coming to a stop in front of Lee. "Hop on Young Lady. We're going for a ride." Lee didn't need any prompting. She hiked up her train and hopped onto the bike, side saddle and ladylike. "Ready?" he called out to her. Lee nodded enthusiastically. The motorcycle moved slowly around the perimeter of the dance floor and then headed out into the lobby. They came to a stop right by the Concierge's desk. "Here goes!" shouted Knieval and before she realized what was happening they were barreling straight into the ballroom. Knieval popped a wheelie and the motorcycly leapt up onto a table. As if in a dream Lee saw the frightened expressions on her friends faces below as she sailed over them. They had just cleared Constance Mackey when Knieval's back wheel grazed the peak of Muffy Bridewell's done up hair that had achieved its great height with the assistance of her mother's fall. The hairpiece came off the girl's head and became ensnared in the gears. Guests gasped as the motorcycle teetered on its landing and then slammed into the dessert table.Lee was thrown from the bike, but her fall was broken by a tower of eclairs. Evel Knieval didn't fare as well. He crashed headlong into an ice sculpture and knocked out his two front teeth. Guests rushed their aid. The ever vigil hotel staff quickly cleaned up the mess. After changing into her second gown of the evening, Lee returned to the ballroom where she was greeted with thunderous applause. The next day the party received extensive coverage in both the society and sports pages. All agreed it was the social event of the year.